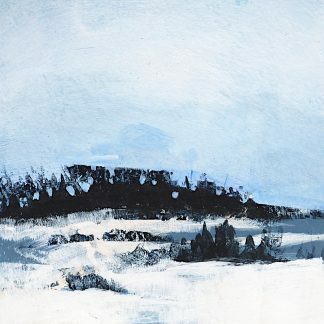 Abstract winter landscape of trees and snow with a sunrise on the horizon. Pale cool blues predominate, with contrasting dark trees. 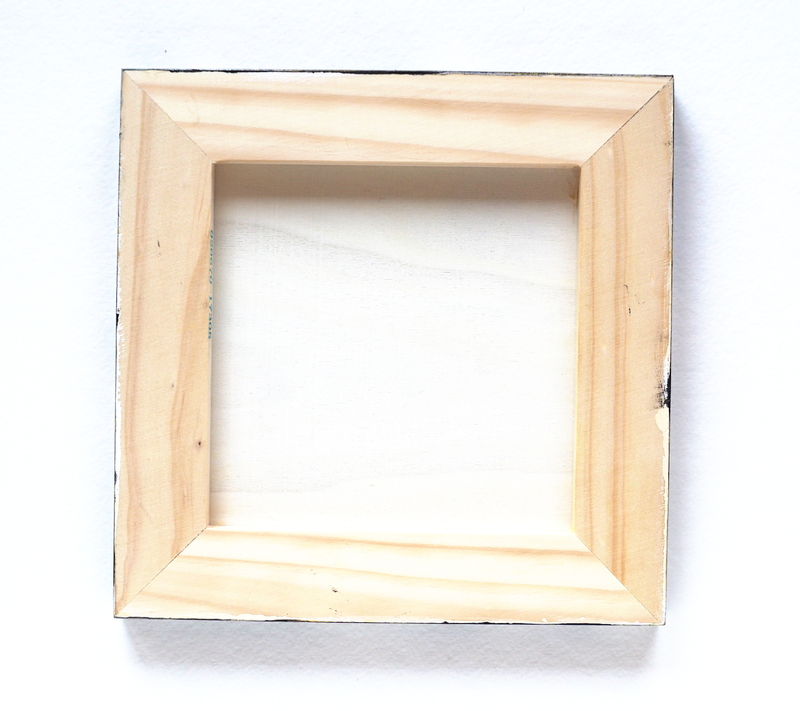 Acrylic painting on paper mounted on an 8″ x 8″ x 3/4″ (20.3 cm x 20.3 cm x 1.9 cm) cradled wooden panel, ready to hang. 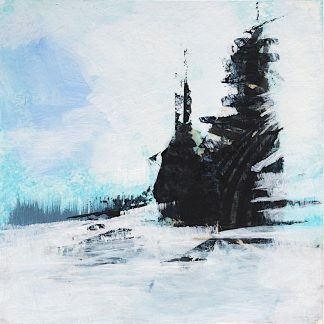 Winter landscape, aspen trees in the snow, 6" x 6" Mixed media abstract landscape, 6" x 6"